SACRAMENTO – Gov. Jerry Brown on Jan. 7 announced the reappointment of Genevieve Shiroma, 61, of Sacramento to the California Agricultural Labor Relations Board, where she has served for more than 16 years. 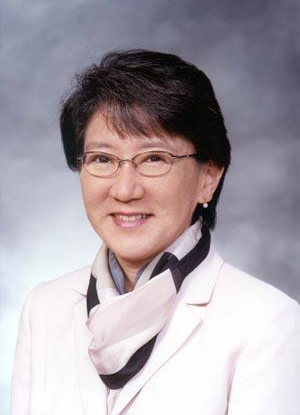 From 1990 to 1999, Shiroma served as chief of the Air Quality Branch at the California Air Resources Board, where she was an air quality engineer from 1978 to 1990. Shiroma was first appointed to the Agricultural Labor Relations Board in 1999 by Gov. Gray Davis, then reappointed by Gov. Arnold Schwarzenegger in 2006 and by Brown in 2011. The ALRB administers the Agricultural Labor Relations Act of 1975, which guarantees the rights of farm workers to organize, to bargain collectively with their employers, and to engage in other protected concerted activity for mutual aid and protection with or without a union, or to refrain from all such activity. The board primarily acts as a quasi-judicial body in deciding cases on the basis of formal records in administrative proceedings concerning the validity of elections and unfair labor practices. Since 1999, Shiroma has also been the elected Ward 4 director of the Sacramento Municipal Utility District (SMUD), the publicly owned, not-for-profit electricity provider for Sacramento County and portions of Placer County. It serves 625,000 residential and commercial customers. The ALRB position requires Senate confirmation and the compensation is $137,956.08. Shiroma is a Democrat and a graduate of UC Davis.